Whalers Cove Beachfront Villas ...What makes us special? World Class Wineries and food are just a Stones’ throw away! The only way to enjoy the South West is with beautiful beachfront accommodation at Whalers Cove in Dunsborough. Whalers Cove is perfectly situated on the shores of Geographe Bay, just over two hours away from the hustle and bustle of Perth city. Enjoy the crystal-clear water and charm of the town of Dunsborough from your place at Whalers Cove. 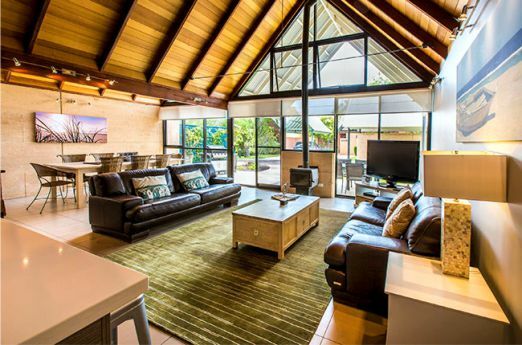 Our Dunsborough accommodation offers an element of luxury and relaxation that is a cut above the rest. We are a short drive away from other south-west tourist attractions, including Yallingup Beach, Busselton and the Margaret River region. Our two-, three- and four-bedroom villas are the perfect size for a family or friends to get away for the weekend in WA’s stunning south-west. We have a range of beautifully appointed self-contained villas for everyone’s needs. Our friendly managers can also help you navigate the Margaret River region and have plenty of recommendations of what to do and where to eat in Dunsborough and surrounds. Whether you’re looking for a short weekend visiting wineries or the Margaret River Chocolate Factory, or you need an extended getaway with the family in nature, we can help facilitate a fantastic break. You can even take the kids horseriding in Dunsborough! The Dunsborough region has plenty of award-winning restaurants and tourist attractions for you to visit. The south-west region is well-known for its wine and beer production, as well as many other food industries. There are also plenty of activities for the adventurous souls, including surfing, hiking, or heading out into nature. What many people don’t know is that there are many beauty and massage centres, as well as relaxation opportunities in Dunsborough, Margaret River and Busselton. Whatever you are looking for in a holiday, Whalers Cove and its friendly staff are happy to help. So do not hesitate; book today for your next unforgettable getaway in Margaret River. Whalers Cove is the answer of where to stay in Dunsborough! We arrived with our two kids in tow ,one a 4 year old and a 9 month old infant. The place had enormous space for the kids to play and was nice and clean, the bathrooms were both good sizes for a family and the facilities were fantastic. I would definitely recommend anyone staying with a family or two could easily accomodate there in the PIONEER villa. The staff were very helpful. Absolutely loved our stay in these roomy villas. Loft was cool for our 15yo. All essential facilities including good wifi. Lovely owners too who went out of their way to help us with our car when battery dead. Perfect spot to explore MR and dunsborough from. Excellent accommodation. Very clean, comfortable. great location on the beach. Good quality cooking facilities and utensils etc. Very comfortable 4 poster beds, excellent showers in both bathrooms. All in all a very relaxing time, with everything you need at hand. Five ladies celebrating the big 50 had the time of their lives in a beautiful villa.It was so luxurious and the view was amazing. We could not have asked for anything more it was all there.Perfect. Room Tip: Very quiet everywhere. Very Good, well equiped villas in an excellent, quiet location (very close to the beach), William Tell 2Bedroom Villa had the added bonus of Foxtel with every channel, especially good for kids quiet time before bed. We would definitely stay again. My only winge is no iPod Dock, come on guys it is the 21st Century. 6 on us shared a large beach front villa. The bedrooms and communal areas were large and great for entertaining. Fantastic location (a short walk to Dunsborough). Room Tip: The large beach front chalets are the best. My husband and I recently stayed at Whalers cove. The room was fantastic, very clean. It had everything in it that we needed. We walked everywhere as it was close to town and the beach. The managers were fantastic, very friendly and helpful. I would recommend a stay here to anyone as facilities would suit families or couples. Me and my wife were with friends for a wedding down South and stayed at Whalers for 2 nights in Oct 2014, we were really surprised at how nice the place was as, everything was clean and we were a stones throw from the beach. We are already looking to make plans to come back again. Wow, what can I say? 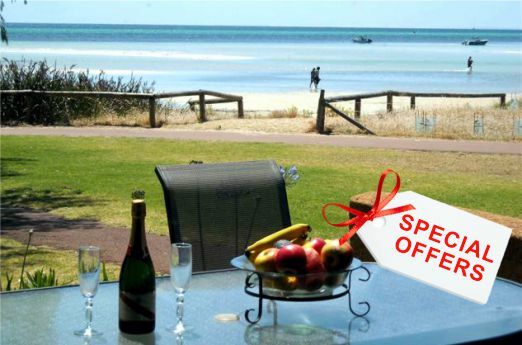 Stylish and spacious holiday homes right on the beachfront at Dunsborough! Conveniently located, immaculately presented and reasonably priced. Fully equipped and ideal for both summer and winter breaks. Enjoy the stay @ Whalers Cove !! My kids can't wait to go there everytime. The people are always friendly and very helpfull. It is central enough to do daytrips and see all that is to see !! Love Whalers Cove , been there 5 times and will go back again!! Past Mandurah, past Bunbury, past Busselton, heading for Cape Naturaliste, we found these gorgeous villas. Expensive for us Kiwis at $260/night, but spacious and comfy, and just off the beach. Many places will only do a minimum two nights stay which didn't suit our plans, so we were pleased to find this villa. The lady manager was friendly and interesting to talk to. The accommadation was out of this world. The view was magic and so peaceful especially when viewing the ocean from the tower ( with the wonderful staircase) . The area is beautiful and the customer service was spot on . We look forward to returning to whalers cove in the future . Was very impressed with every facet of Whalers Cove. Very spacious villas, modern decor, great location (literally a 1 minute walk to the beach). Husband and I went there for our anniversary (just the two of us) but would suit groups or families looking for a getaway. Highly recommended!! A BIG thank you for the lovely hospitality over our wedding weekend. We had a gorgeous weekend and were really impressed with Whalers but in particular how friendly everyone was. Had an opportunity to stay in one of the villas here during a visit to South West Australia a year ago. The beach is just a short walk and all the attractions of the area just a short drive away. Villas are well maintained and clean and beds comfortable. Really relaxing holiday and we thoroughly enjoyed our stay there. Will return should we visit this area again. Just back from a wonderful holiday staying at Whaler's Cove in Dunsborough. Lovely accommodation, beautiful gardens and surrounds and such a convenient location. Whaler's Cove just has that lovely feel about it. Chalets spotless, very quiet and peaceful, within walking distance to Restaurants and shopping. Would recommend staying there. We had friends from the UK with us and they were so impressed.